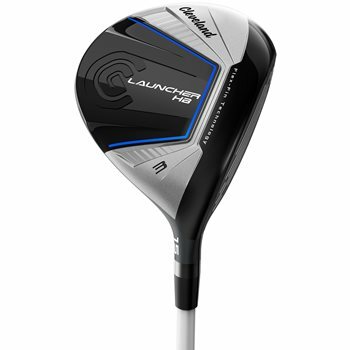 The Cleveland Launcher HB Fairway features the next evolution of Launcher and HiBore technologies that combine to produce exceptional speed, distance, and control. The new HiBore Crown brings the entire crown down by 5mm lowering the weight and promoting a high-launch ball flight while the new Launcher Cup-Face creates higher COR across the entire face for unmatched ball speed and distance. HELLO---QUESTION ABOUT THE SHAFT...I PLAY A FIRM REGULAR OR A SOFTER STIFF SHAFT. IN FACT ON MY RBZ ROCKERT BALLS 3 WOOD I HAVE THEIR STANDARD X-CONN 5 MATRIX OZIK STIFF SHAFT WHICH I HIT WELL. SO IS THE SHAFT IN THIS CLUB COMPARABLE OR DO YOU HAVE A RECOMMENDATION FOR THE SAME HEAD BUT MORE COMPARABLE SHAFT FOR ME. THANK YOU.